Just a Little Guy and Gal Gun Show home based out of Blanchard, Oklahoma USA. My name is Matt Hindi I was born and raised in New Mexico and I retired from the U.S. Navy in 2011 as a Chief Petty Officer with over 22 years of faithful service to this great country of ours. My better half, (Pattie) was born and raised in Oklahoma and is a 7 year Navy Veteran as well. 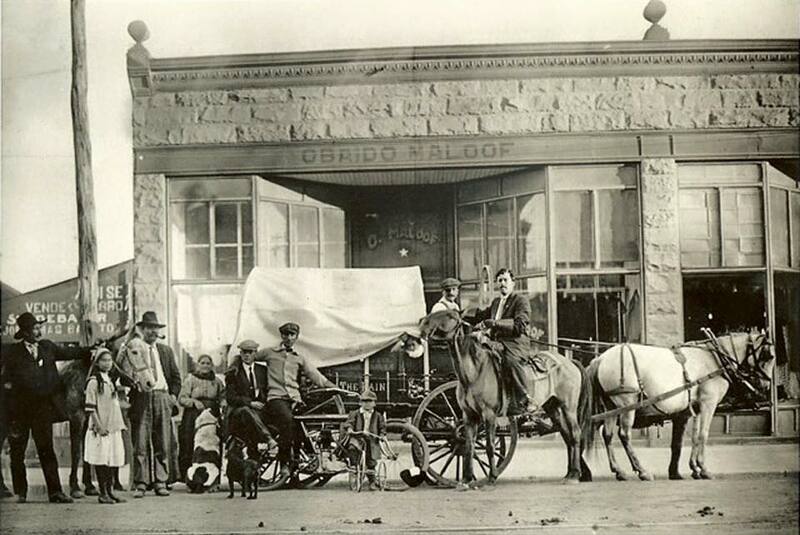 The Picture to the right is my Grandfather sitting on the horse circa 1910 taken in Las Vegas, New Mexico he used to peddle a wagon selling goods across Northern New Mexico. He settled in Duran, New Mexico where he opened a general store there which still stands to this day. If you look close you will see the town constable to far left an early Harley Davidson or Indian Motorcycle and a child on a tricycle. Both of us remain very active participants as Cowboy Action Shooters. I am a Lifetime member of both the NRA and Sass.